Nearly 80 million players of the popular online battle game Fortnite are at increased hacking risk, said researchers from cyber security firm Check Point who discovered vulnerabilities that can give hackers access into user accounts. If exploited, the vulnerability would enable hackers purchase virtual in-game currency using the victim’s payment card details, the company said in a statement late Thursday. The vulnerability would also have allowed for a massive invasion of privacy as an attacker could listen to in-game chatter as well as surrounding sounds and conversations within the victim’s home or other location of play. “Together with the vulnerabilities we recently found in the platforms used by drone manufacturer DJI, show how susceptible cloud applications are to attacks and breaches,” said added Vanunu. Fortnite is popular on all gaming platforms, including Android, iOS, PC via Microsoft Windows and consoles such as Xbox One and PlayStation 4. In addition to casual players, Fortnite is used by professional gamers who stream their sessions online and is popular with e-sports enthusiasts. To fall victim to this attack, a player needs only to click on a crafted phishing link coming from an “Epic Games” domain, to make everything seem transparent, though sent by the attacker. Once clicked, the user’s Fortnite authentication token could be captured by the attacker without the user entering any login credentials. 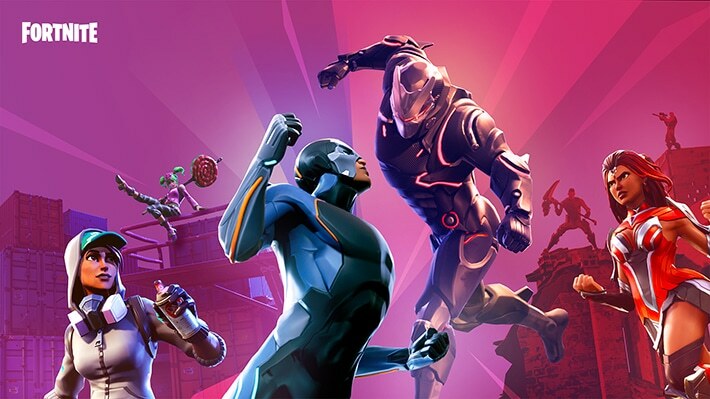 According to the researchers, the potential vulnerability originated from flaws found in two of Epic Games’ sub-domains that were susceptible to a malicious redirect, allowing users’ legitimate authentication tokens to be intercepted by a hacker from the compromised sub-domain. Check Point has notified Epic Games of the vulnerability which has now been fixed. “Enforcing two-factor authentication could mitigate this account takeover vulnerability,” said Vanunu.